Jeremy Evans is the managing attorney and owner of the California Sports Lawyer firm, representing sports and entertainment professionals in contract drafting, negotiations, licensing and career growth. Evans provides legal advice and general counsel services for businesses, which includes development, document and agreement drafting, review, negotiations, protection and compliance. In November 2013, he was elected as vice chair of the Entertainment and Sports Law Section of the San Diego County Bar Association (SDCBA), where he also serves and was elected to the New Lawyer's Division Board for the SDCBA for the 2013-15 term, and is the co-chair of the Continuing Legal Education committee. Evans was elected vice president of the Alumni Association of Thomas Jefferson School of Law Board of Directors for the 2013-14 term. He has served on the board of directors since being elected in 2012 and re-elected in 2013 for the 2012-13 and 2013-15 terms, respectively, where he serves and has chaired the following committees: Bylaw (chair), Alumni Outreach (chair), Padres, and Annual Alumni & Friends Golf Tournament benefiting the Veterans Legal Assistance Program (former chair). He is also on the editorial staff and is a contributor for the San Diego Lawyer Magazine. Evans attended the University of California Los Angeles, where he earned a bachelor of arts in political science, emphasis in American politics. He graduated from Thomas Jefferson School of Law, where he served as president of the Student Bar Association, and Editor-in-Chief of the student newspaper, The Jeffersonian. Prior to opening the firm, Evans worked as a graduate law clerk and attorney with the Superior Court of California, County of San Diego, Central Division, advising judges and commissioners in civil and criminal law and motion matters. For two years during law school, he worked for the Office of the Public Defender for the county of San Diego and a civil business and constitutional litigation firm as a Certified Legal Intern. Prior to law school, Evans worked in finance for the No. 1 business-only litigation firm in the country, Quinn Emanuel Urquhart & Sullivan LLP in Los Angeles, and prior to that was in politics, working for a California state senator as a legislative aide and field representative. He holds a certificate as a Certified Political Consultant-Campaign Manager, from the National Institute of Politics. Evans is a member of the State Bar of California, the San Diego County Bar Association, and the San Diego Entertainment & Sports Lawyers. He is licensed to practice law before all courts in the State of California and the United States District Court for the Southern District of California. Evans is also licensed as in-house counsel in the State of Arizona pursuant to Supreme Court rule 38(i)(3). Don't miss this opportunity to recognize your peers or congratulate the San Diego Young Attorneys. 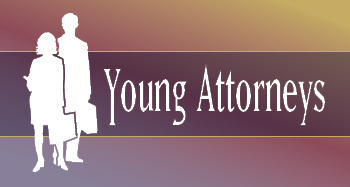 Highlight your company's expertise by advertising or sponsoring Young Attorneys 2013.